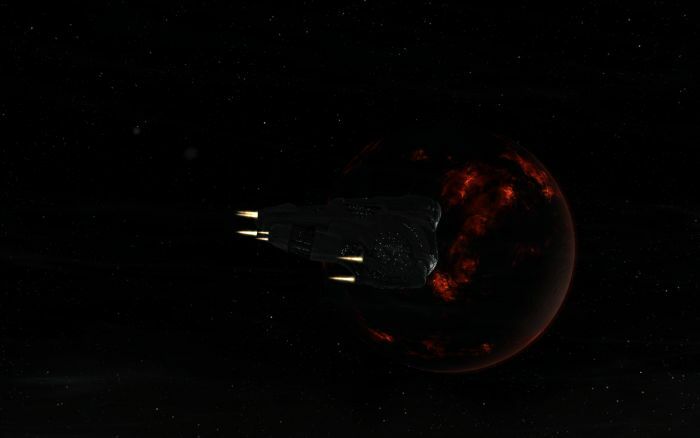 We All Love New Things #EVEOnline – Nomadic Gamers, eh! It doesn’t matter what game I play, I love getting new things. Some times those new things are gear, weapons or even crafting supplies. In EVE one of those things is ships. Ever since I heard that there was a little war on ice miners I decided that I wanted an ice mining ship. Technically I could use my hulk (as I’ve already mentioned) but the Mackinaw receives a lot of bonuses for ice mining in specific. Today I decided to purchase one, and I’ve got three more days before I can finish fitting it, but it’s coming along nicely. I gave it the name ‘Cyrosphere’ which I think suits. I was a bit sad when I looked at the insurance value of the ship. The maximum you can get back is 26 million ISK, and the ship is going for roughly 115 million in Jita. That’s not including any money you spend fitting it. I took it out for a spin and was incredibly happy with my results, but I was also very paranoid that I’d get shot out of the skies, even if I was in .7 HighSec. After a few circles of the mining guns I decided to head back to the station and refine my goods, which is where the real money comes from. Hopefully things will calm down for ice miners before too long, and I won’t have to be constantly looking around for people flying in all of the sudden. Of course it’s better to be safe than sorry, but after losing my hulk last week I really wasn’t in the mood to replace a 2nd ship quite so soon. It’s almost time for me to upgrade my research agents again. I’ve been working on missions for Creo and my standing is almost high enough to warrant the change. I’ve been with my current agents for a long time, and even though I only visit them when I need a bunch of datacores you sort of get attached to them. Plus they’re in a nice location that’s easy for me to reach when I’m en-rout to my factory outpost. Once I finish training the ice harvester, I’m going to complete fitting the Dominix (I sort of stopped half way through) and then work on my other crafting skills like mining different types of ore and refining them. Maybe I’ll do a little wurmhole exploration, and eventually I’ll finally get the hang of probing. In the mean time I’m still bugging corp mates to help me with that. As always, happy gaming no matter where you find yourself! I hope all my friends down south stay safe with the storms that have been passing through. No sign of any snow up here in Ottawa.